Melt the chocolate in a bowl over a water bath, making sure the water is not boiling. Set aside. In a separate bowl, whip the heavy cream to soft peaks. Place the egg yolks in a small bowl and set over a water bath to slightly heat while beating them with a whisk. Add the sugar to the yolks and then transfer the mixture to a stand mixer set up with the whisk attachment. Beat until the sugar is completely dissolved and the yolks double in size, about 5 minutes. Carefully fold the chocolate into the yolks. Lastly, fold in the whipped cream. Divide the mixture among 4 serving bowls or glasses and refrigerate for about 3 hours. 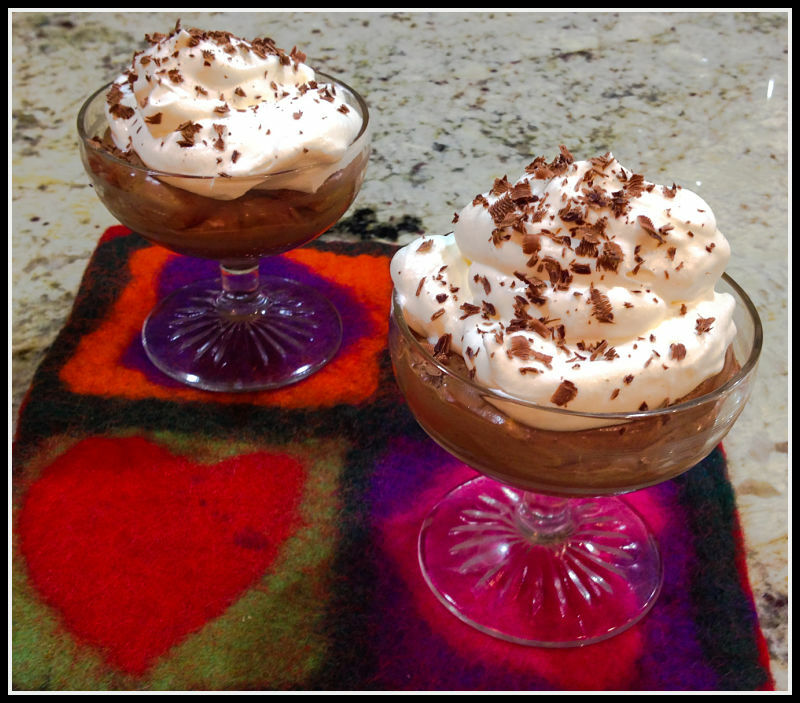 Just before serving, top with some whipped cream and garnish with chocolate shavings. 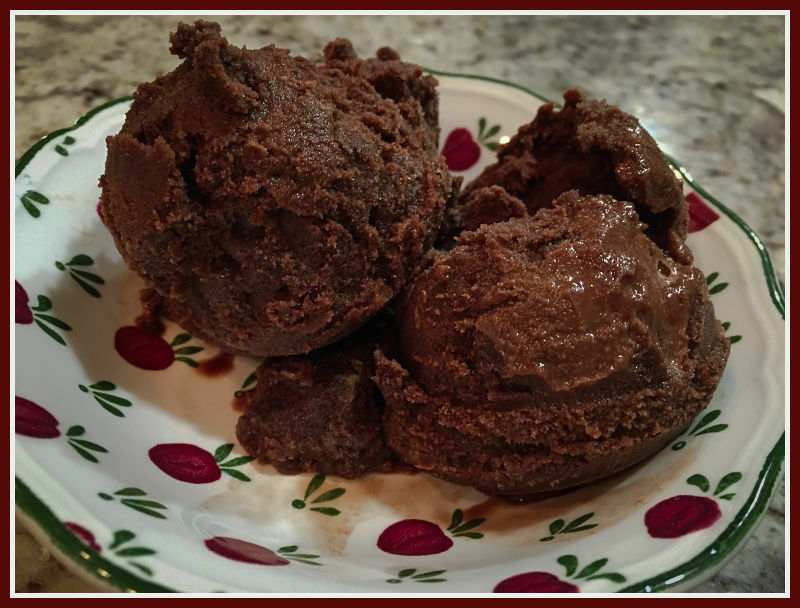 The sorbet is probably one of the simplest recipes ever, just water, sugar, cocoa powder, a bit of espresso powder, barely cooked together and processed into sorbet. It has a sharp flavor, and surprisingly smooth texture for something that doesn’t contain any cream or custard. I am making 4 times the amount as I bake for my relatives as well, I made the starter as instructed but it does not say how long to leave it, as the water is quite warm I thought that as you do not say to leave it I used it straight away. I am at the stage where I have done all the folds and am leaving it to prove for an hour. While I am waiting I am looking at other recipes on your site and noticed another Chad Robertson recipe for Country Rye which is almost the same, except on this recipe it instructs you to make the starter 8 hours before the main dough. Is there any way I can save this dough, maybe retard it in the fridge for 12 hours, what do you think ? Where I can bake bread for all my family[whether they want it or not], drink coffee, read my bread books and listen to my favourite music, life does not get better than this. I go through phases with chocolate. For a while I want it in everything and then I can leave it alone for months. I would enjoy both of these. I’ve never made chocolate sorbet but now I want some.